Bildner, Phil. 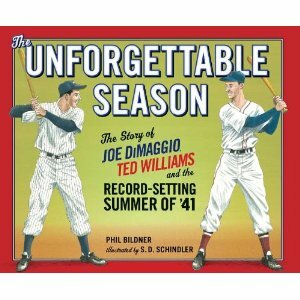 The Unforgettable Season: The Story of Joe DiMaggio, Ted Williams and the Record-Setting Summer of ’41. Illustrated by S. D. Schindler. New York: G. P. Putnam’s Sons, 2011. This entry was posted in children's consideration, picture book, professional commentary. Bookmark the permalink.